February 04, 2019 Source : gigabyte.com News . New Delhi, India, February 4th , 2019 – 2019 Indian Gaming Show, one of the biggest gaming festivals kicked off at Pragati Maidan on February 3rd. AORUS, as a premium gaming brand powered by GIGABYTE, unveils the world’s first tactical monitor, high-end AORUS PC with RTX 20-series GPU and Z390 AORUS board inside its booth. AORUS teamed up with 7 Youtubers to hold a variety of engaging sessions such as VR, monitor experience, tournament sessions, and trending games on AORUS PC. Those visiting our booth will get to participate in the tournament and the one who wins all the rounds can take home the latest RTX2060 OC GPU and Z390 AORUS motherboard. Multiple Gaming Experience Sessions to Lights Up Your Passion For Gaming. AORUS is the main sponsor for DIY PC partner in the Indian Gaming Show this year. With a total of SIX premium AORUS PCs placed together with popular gaming titles including CS:GO, Dota 2 and Rocket League. 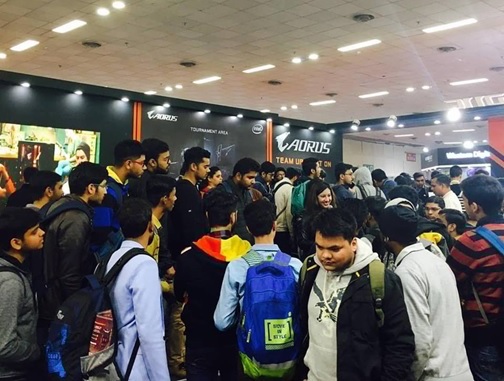 During the 3 day event, DIY PC Youtubers such as Techdreams and Indian Budget Gamer will represent at AORUS booth game on AORUS PC and say hi to the fans. Gamers can experience a variety of activities inside AORUS booth, for instance: AORUS Tournament with RTX set up, monitor experience at the gaming corner, VR on BRIX, and sharing pictures of the AORUS wall to win a variety of goodies. 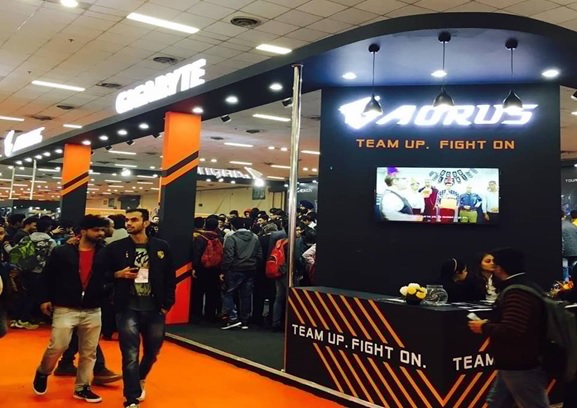 During the 2019 Indian Gaming Show, AORUS will showcase the best PC settings for some of the most popular games in its experience and tournament zone. Gamers will get to enjoy gaming on a variety of AORUS product configurations. If you are CS:GO, Dota 2, PUBG or Battlefeild V gamer, then do not miss out on the opportunity to visit and create your dream PC configuration at the AORUS Booth! GIGABYTE, a global leading brand in the IT industry, offers a broad product portfolio including Motherboards, Graphics Cards, PC Components, PC Peripherals, Laptops, Desktop PCs, Network Communications, Servers and Mobile Phones. GIGABYTE also demonstrates the pinnacle of its hardware excellence in AORUS, in which it provides a full spectrum of innovative gaming products that deliver the ultimate performance and exemplify PC’s capability of bringing gamers unprecedented delights. Since its founding in 1986, GIGABYTE has taken the lead in the world’s motherboard and graphics card innovations and been internationally recognized by National Quality Award, Taiwan Excellence Award, Asia Info Tech 100, and as a Taiwan Top 20 Global Brand. With the idea to “Upgrade Your Life”, GIGABYTE creates innovative digital solutions that completely satisfy consumer needs and desires. Please visitwww.gigabyte.com for more information.